At Tradesmen International, we are proud to be a recognized leader for skilled construction staffing solutions in the Nashville area. From apprentice through journeymen and leadmen talent levels, we proudly offer an always growing candidate pool of proven, reliable skilled craftsmen. Ranked No. 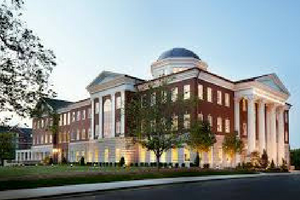 6 in the Regional Universities South category and named as a “Most Innovative” university by U.S. News & World Report, Belmont University consists of more than 7,700 students. 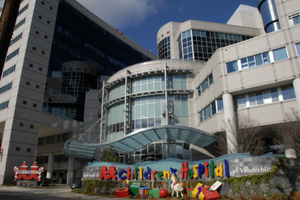 The Monroe Carell Jr. Children’s Hospital at Vanderbilt, also known as Vanderbilt Children’s Hospital, is a non-profit children’s hospital affiliated with Vanderbilt University Medical Center in Nashville, Tennessee. 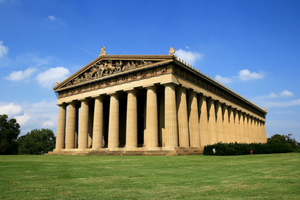 Bringing a bit of ancient history to Tennesse, this full scale replica is identical to the original Parthenon in Athens. 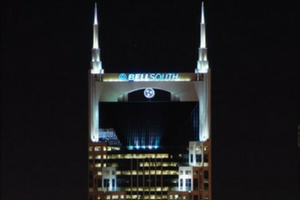 Commonly known as the Batman Building due to its eerie similarity to the caped crusader, The AT&T Building in Nashville is a 617 ft, 33-story skyscraper capable of housing 2,000 workers. Our productivity and staffing consultants work hard to ensure every craftsman we send to the jobsite is reliable, verifiably skilled and safety-minded. With all of our skilled craftsmen undergoing a rigorous hiring process and subject to routine performance evaluations, you can feel confident in the knowledge that Tradesmen International employs some of best skilled construction craftsmen in Nashville. We specialize in providing customized service and skilled staffing based directly on your jobsite location, company needs and industry requirements. With local staffing offices strategically located in cities across Tennessee, including Nashville, Chattanooga, Knoxville and Memphis, we can have skilled craftsmen to most job sites in 24 – 48 hours. Contact us today to learn more about your skilled construction staffing options in Nashville. Find skilled craftsmen in Nashville.